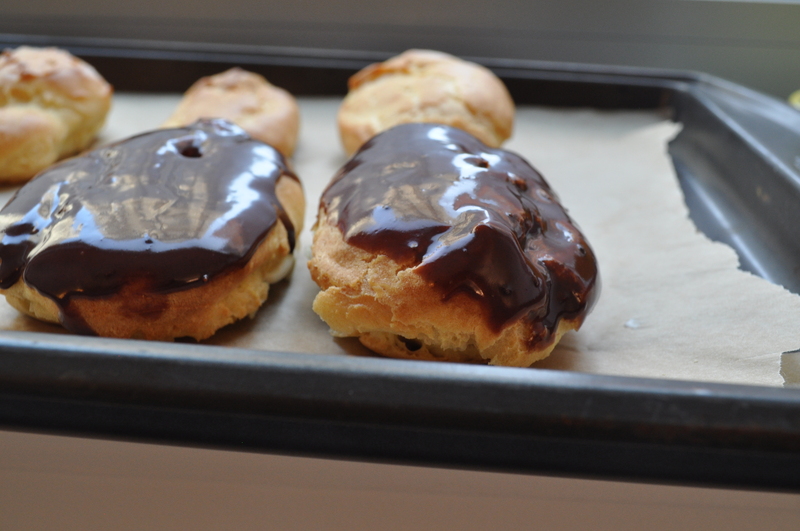 This week, my friends, I wanted to make eclairs. 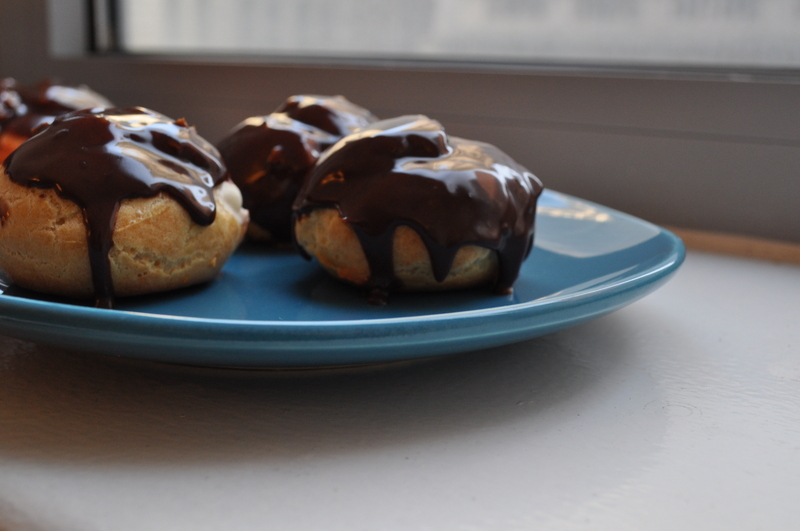 Delicate pastries filled with a luscious vanilla cream and doused in rich chocolate sauce. Mm, I wanted to make nothing more. And then I saw them: the commercials prompting me to lose the holiday weight I had gained. The ones that told me that I actually may benefit from buying a treadmill that I would totally be able to make room for it in my apartment. And the ones that told me that I should most definitely feel guilty about the delicious sweets I happily consumed throughout the duration of the last two weeks in December. Alas, here I am, practicing the art of restraint. As it turns out, though, this is a perfect recipe for the new year! There are a couple Fosters Market around my college town. Without fail, whenever there we did anything important (“important” in that 19 year-old college sense), me and my roommate would get Fosters granola to pump ourselves up. We would get it for a usual breakfast too, but we would get the full size before an interview, or a race or a school show. 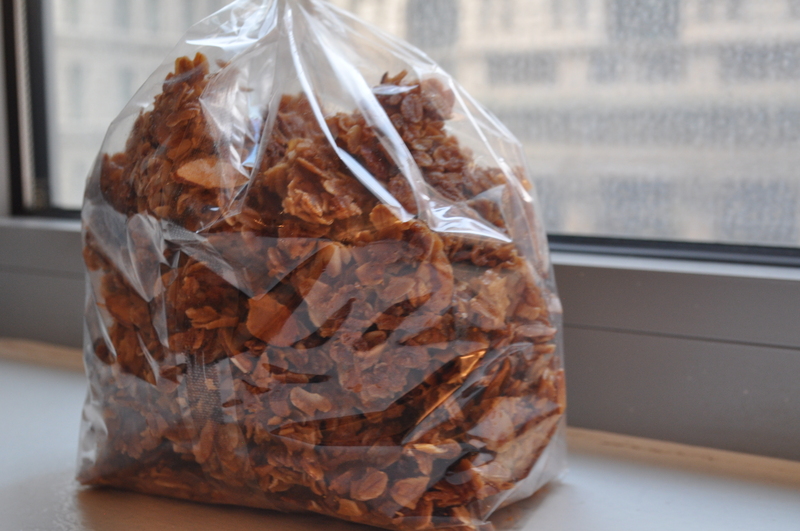 So, in a way, this granola represents new adventures and beginnings! Making connections! So, enjoy this. This nostalgic breakfast treat is so crunchy and satisfying and perfect with some vanilla yogurt and berries. 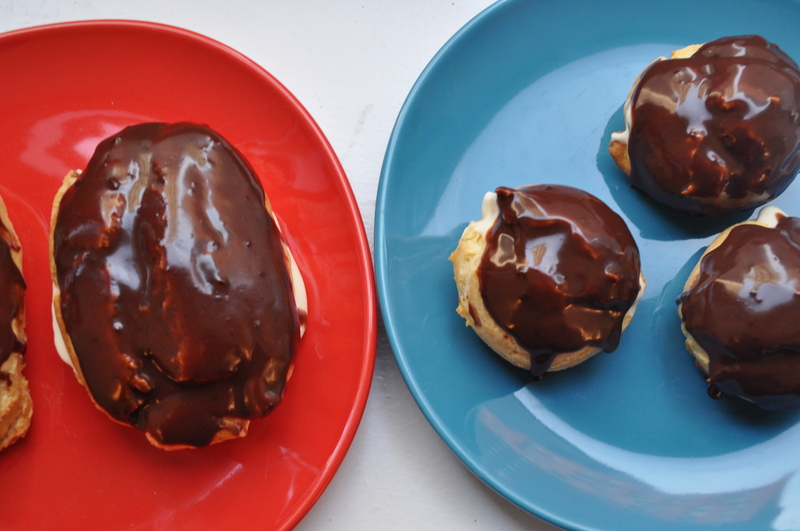 The only thing that may be able to top this is…maybe…eclairs. 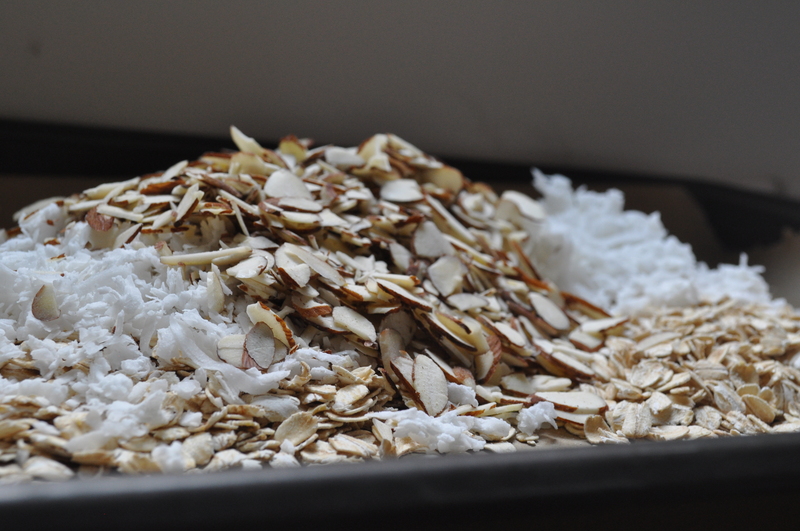 Spread the oats, coconut, and almonds on a large baking sheet with sides. Sprinkle with salt and bake for 12 to 15 minutes, stirring occasionally, until the ingredients are lightly toasted but not yet golden. 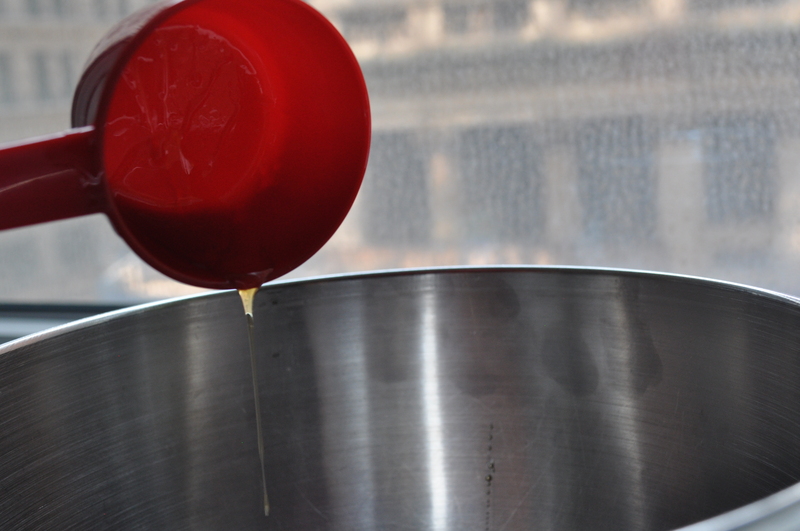 Transfer the ingredients to a large bowl. 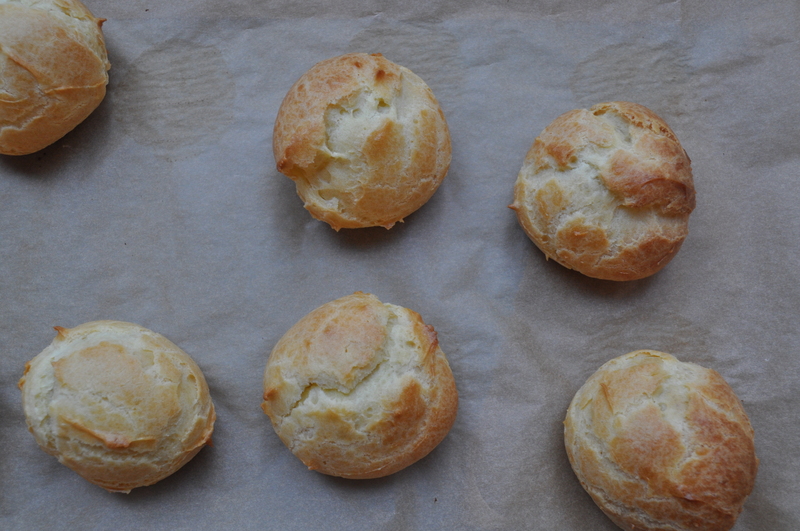 Increase the oven temperature to 350°F. 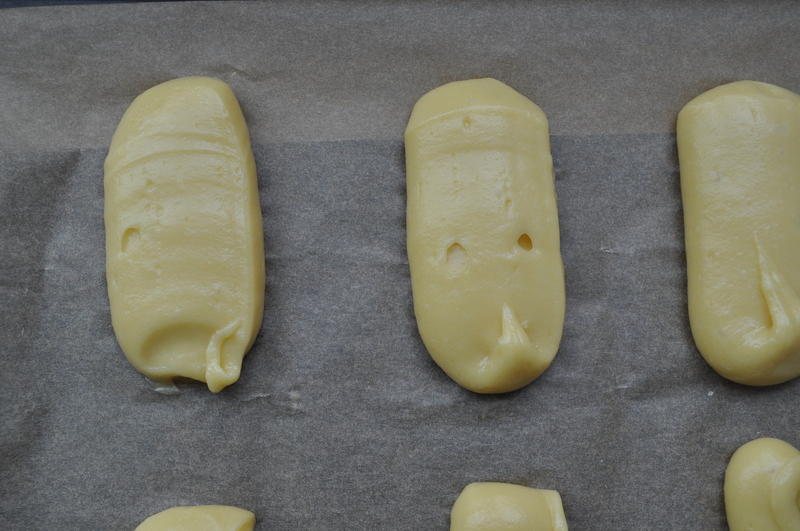 Spray baking sheet with cooking spray. Stir the maple syrup, oil, and honey together in a small bowl, pour over the oats, nuts, and coconut, and toss to coat evenly. 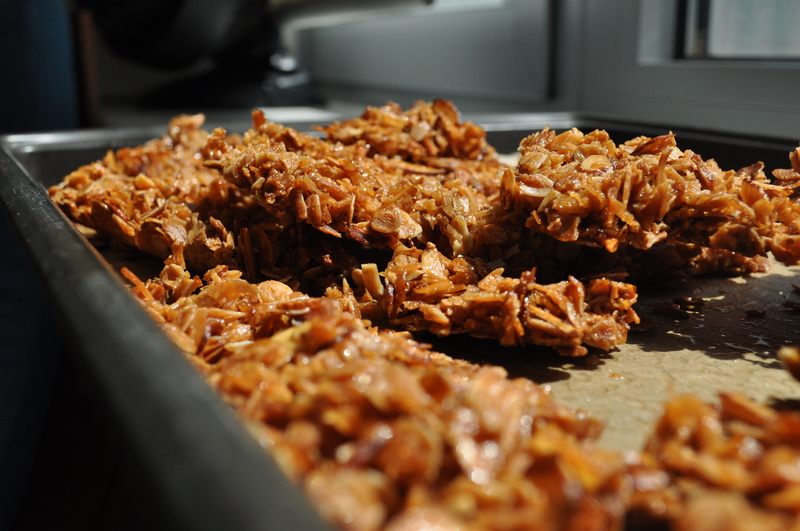 Spread the granola onto the prepared baking sheet and bake for 25 to 30 minutes, until the granola is just crispy and golden brown, stirring several times, about every 10 minutes, while baking. 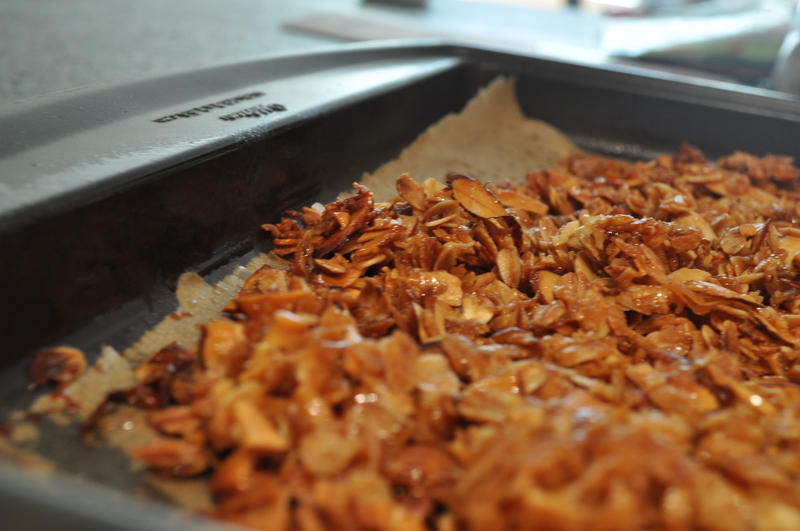 Let the granola cool completely on the baking sheet, breaking up any large clumps while it is still warm.